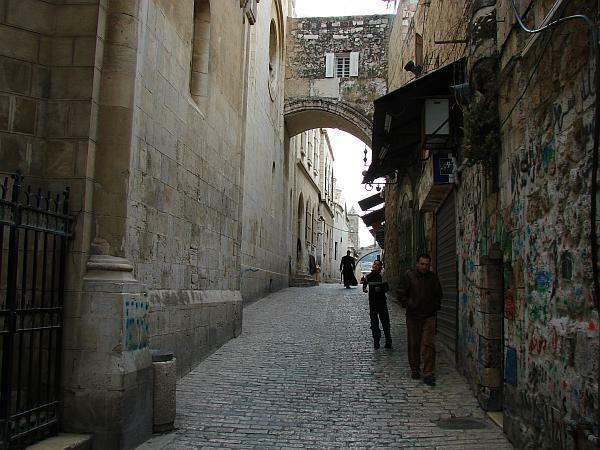 The road that Jesus walked on His way to Calvary is called the Via Dolorosa. 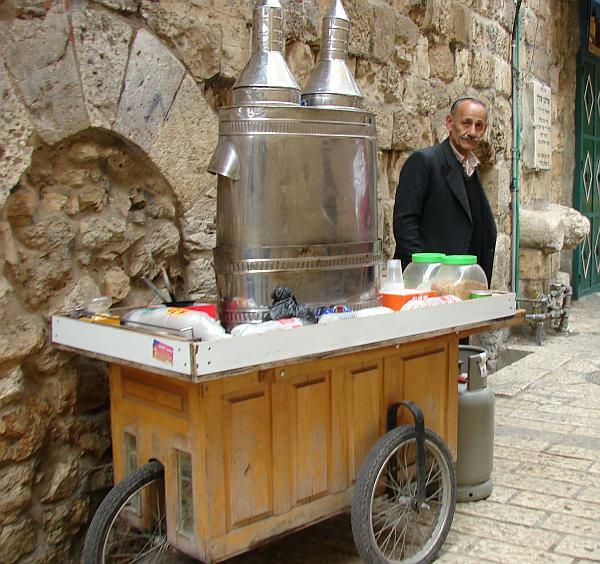 It’s in the Old City of Jerusalem (the part that has the original Roman-era and Crusader-era walls around it). 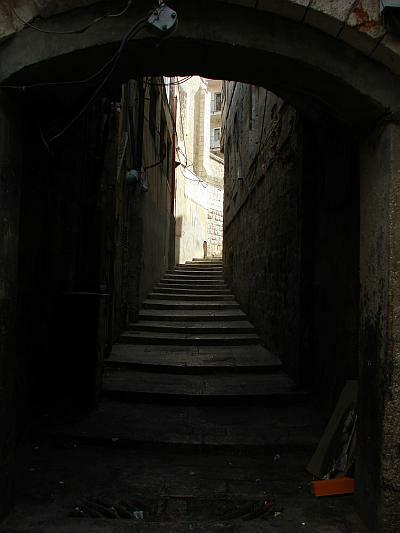 The traditional route starts just inside the Lion’s Gate (St. Stephen’s Gate), near the location of the former Antonia Fortress, and makes its way westward through the Old City to the Church of the Holy Sepulcher. 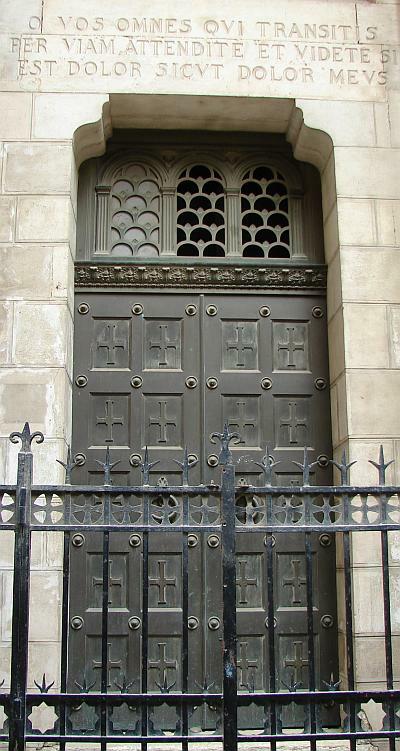 This route is based on a devotional walk organized by the Franciscans in the 14th century AD. There’s good reason to believe that this wasn’t really the road He took. 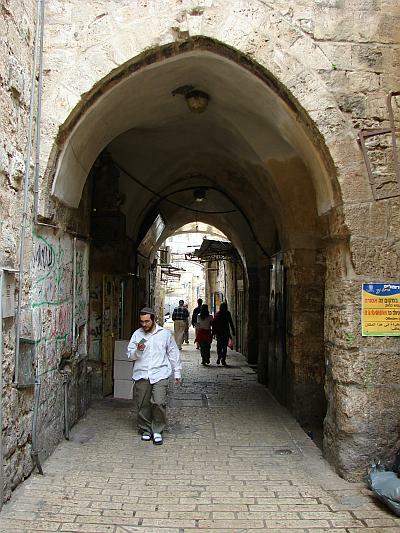 The current Via Dolorosa is a collection of Turkish/Arab shops. 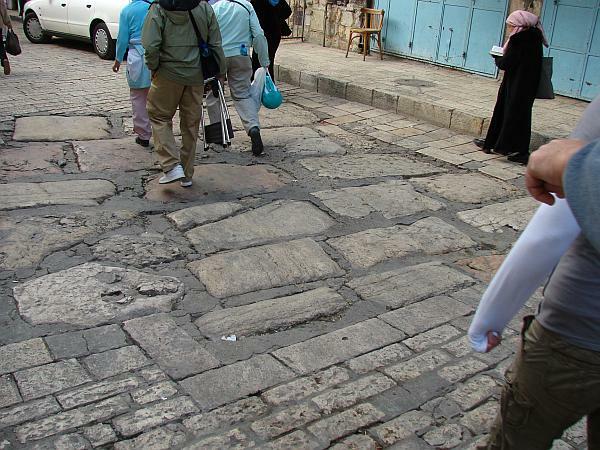 Back in Jesus’ day, the Roman roads were quite wide and not crowded. 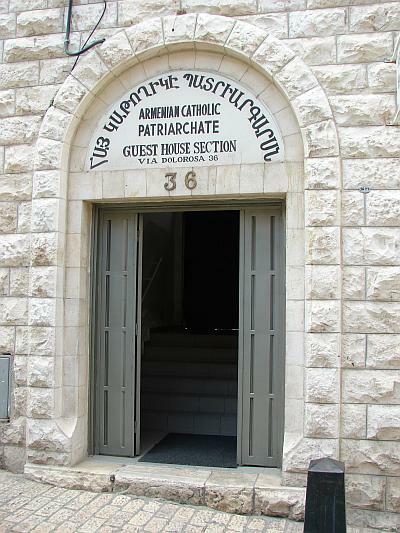 True path or not – imagine having an address like “36 Via Dolorosa”. 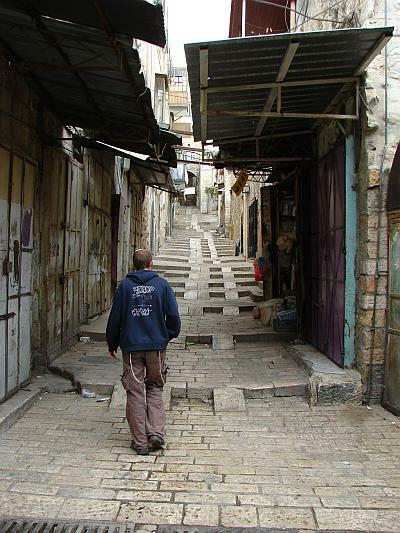 Lots of alleys off the Via Dolorosa. The ramps between the steps are for wagons and carts. 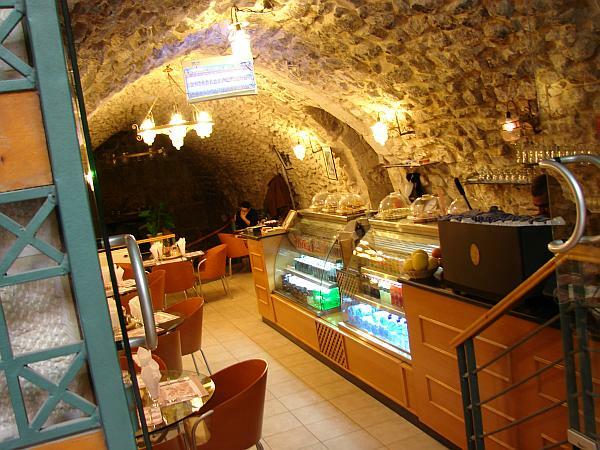 Some shops were nothing more than a small opening along the way. This was one of the larger ones. Cleaner than most, too.